1) Employment and Consulting opportunities: The Venture Center offers challenging employment and consulting opportunities for people who can identify with Venture Center's goals and mission. Venture Center seeks employees and consultants who have a strong interest and passion in seeing technology innovators, entrepreneurs and start-ups succeed, and have a strong "service" ethos. We also welcome applications for specialized functions relating to incubation/investment/innovation management/support functions all through the year. For enquiries related to this you can email us at hr@venturecenter.co.in. Any industry experience and awareness of regulatory matters will be a plus. To identify mentee needs and identify suitable events/ mentors/ connects for each of them. This role involves travel and event design and management. Suitable education and work experience indicating ability and interest in facility, general services management and minor maintenance. Background's relevant to maintenance and upkeep of of hotel, hospital, restaurant, office facilities will be a plus. To plan, manage and undertake all facility management related activities for the Campus. To supervise contracted services, collect feedback, track performance and ensure service quality. To catalog and maintain inventories of supplies and assets. To assist n procurement related activities and assist in implementation of the procurement policies. Note: This role is more suitable for a younger/ junior candidate. Interest in hands-on working, model making and comfort working with hands. To plan, set-up and operate facilities and services at Protoshop (Prayashala and Tinkering Lab) esp those relating to mechanical design, machining, prototyping and processing. To organize talks, workshops and hackathons. To design flyers, banners, posters, signages, images for websites etc as per request. 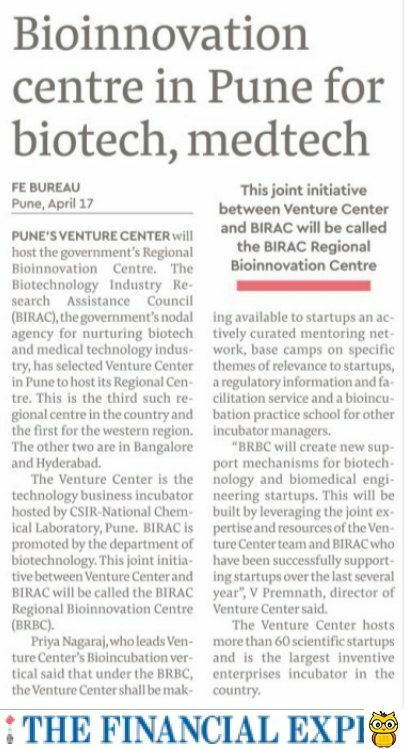 To assist in the organization and running of events of Venture Center both in Pune and elsewhere. To contribute to the visual ambiance and ethos of NCL Innovation Park campus through various means. Exposure to electrical engineering or civil engineering or works activities. Interest and experience in event management; Familiarity with events related options and documentation. Clear and confident communicator with friendly demeanor. Strong phone and email communication skills. Tasks include all logistics of event faculty/guests and participants, handling of registrations/ payments/ refunds, compiling feedback, event venue logistics, event delegate kits, document preparation, media etc. This role involves travel and event management. Education and experience reflecting theoretical and hands-on (in-depth) experience with mass spectrometry techniques. Orientation and interest in setting up and operating service facilities of use to industry and startups. Compile and document various regulations related to technology products. Develop algorithmic flowcharts and develop a wiki equivalent of the same. 2) Fellowships & internship: From time to time, Venture Center announces fellowships & internship opportunities for young people with science, engineering, intellectual property and/or management backgrounds through our website and also newspapers. Please see our announcements section for such announcements. Those very keen on such opportunities, can write to us at hr@venturecenter.co.inenquiring of such opportunities at any time. For young and aspiring technology professionals to gain experience with Venture Center startups. For young and aspiring technology professionals to gain experience in technology development and commercialization with an NCL scientist. If any particular type of fellowship/ internship opportunities interest you, feel free to write to us with your resume - we will inform you of any new similar opportunity. Young engineers/ scientists with entrepreneurial dreams. Highly motivated. Ability to take risks. Good understanding of technology, finance. 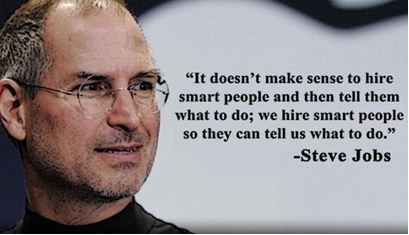 Strong soft skills - ability to communicate, make pitches, inspire confidence. To help create start-up companies based on science-led technology from NCL or to help advance technology closer to the market. Contribute to projects and activities of the Intellectual Property Facilitation Center at Venture Center and learn in the process. Contribute to projects and activities of the Intellectual Property Group at NCL and learn in the process. Contribute to the projects and initiatives of the Innovation Management Group at NCL. Understand technology evaluation, commercialization and new venture creation. Prior laboratory experience and experience with analytical instruments will be a plus. To work closely with Lab Manager to run laboratory facilities and analytical techniques. 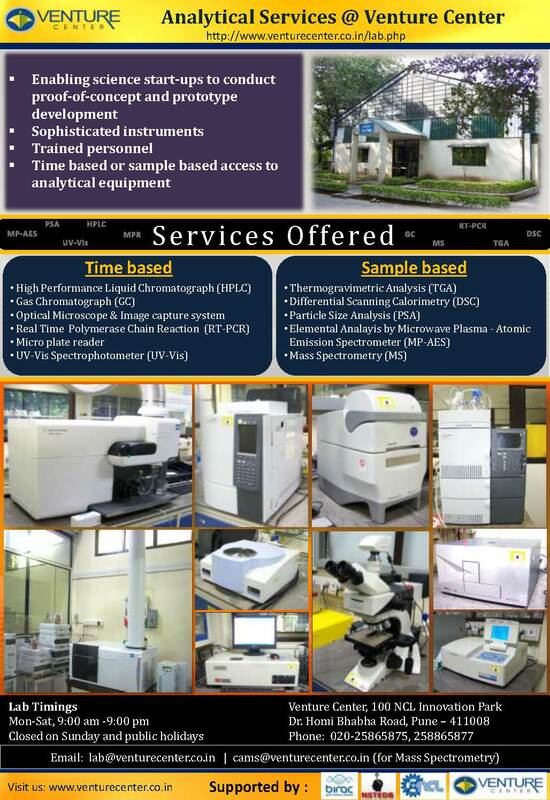 To contribute to laboratory projects, initiatives and events. To work closely with Lab Managers and Scientific Advisors to operate projects and resource centers. Planning and executing events of interest to the ecosystem. Develop databases and useful resources for mentoring entrepreneurs. Besides this, Venture Center is continuously looking for suitable candidates for full-time a) managerial roles relating to technology commercialization, government funded schemes for innovators and general business development (needs science or engineering backgrounds) and b) general management roles (needs strong company administration, HR, financial management, contract management talents). The above positions will be filled up only if suitable candidates are found. If you have any doubts or queries, write via email to hr@venturecenter.co.inwith your questions. Venture Center is a non-profit organization with aims to benefit society by promoting entrepreneursstart-ups. Thus, Venture Center seeks employees and consultants who have a strong interest and passion in seeing technology innovators, entrepreneurs and start-ups succeed, and have a strong "service" ethos. A strong feature of Venture Center jobs is the rich learning environment and opportunity provided to employees to experiment, take initiative and be creative. The work of most employees has visible impact which can be satisfying. All employees benefit from access to high quality facilities and work environments. Compensation packages can be flexible but are often conservative due to Venture Center's non-profit status. General requirements include: a) strong ethical standards and work ethics, b) comfort with computers, computer applications and internet, c) strong communication skills - spoken and written. Venture Center's working hours are 9am - 6.00 pm (Monday to Saturday) and are designed to keep operations of Venture Center convenient for the start-ups, entrepreneurs, inventors and others that the organization serves. Managers in certain functions are provided the opportunity to avail of flexible hours. All jobs are located at Pune, Maharashtra, India.